In our continued journey exploring the 2018 Green Bay Packers roster, we have moved to the defensive side of the ball. Last week I wrote about the importance of the Inside Linebackers, and this week we’ll take a look at the players who play on an island on the outside. Cornerback is probably the number one topic of conversation about the Packers’ roster this offseason. They needed a complete overhaul, and they have seemingly done so, bringing in their top two draft picks and a familiar veteran face. Williams career seemed to be over after leaving Cleveland, but he had a fantastic season with the Cardinals in 2017. He may have lost a step athletically, but his anticipation has never been better. Tramon continues to be able to use positioning to get between the receiver the ball, and makes QBs pay when they make mistakes. His veteran leadership will be crucial on what is going to be a very young position group. King’s rookie campaign was greatly hindered by a shoulder injury. When he was healthy (which wasn’t much), he showed toughness, length, and suddenness that really gave oppoing pass catchers problems. He also showed a surprising willingness to tackle, sometimes at his own peril. 6’3 CBs with 4.4 40 speed don’t grow on trees, and if King can stay healthy, I think he could turn into one of the best young corners in the NFL. Alexander should be the starting slot Cornerback, but I think he’ll also show the ability to play outside. He’s undersized, but has elite athletic traits. Mike Pettine is going to love his fire, and I think he’s the kind of player that fits that Mike Daniels-mentality this defense has been lacking for the last few seasons. I would hold my breath every time a Cornerback would be slow to get up or run to the sideline the last few years. 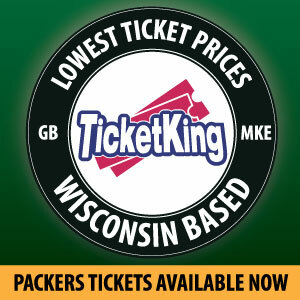 Finally, it looks like the Packers could have some quality depth at the position. Jackson easily could have been a first round pick in this draft, and it is a huge win for Green Bay to get him in the second. He lacks straight line speed, but has good size and football intelligence. He also has the best ball skills of any Packers defensive back since Charles Woodson. Pipkins is my sleeper pick for this year. When other Green Bay defenders had quit on the season (looking at you HaHa), Pipkins was on the field sacrificing his body and making plays. He’s a physical CB who can support the run, jam receivers at the line, and understands how to jar the ball away from receivers. I think Lenzy is going to have a really good camp and make the roster. There’s a pretty good chance the Packers will keep 6 CBs, and there’s an outside chance they would keep 7. That means out of the group above, only 1-2 will make the active roster. Considering that was basically the depth chart last year, the roster looks much improved at corner. House is a solid veteran, but his game seemed to have declined greatly last year. He’ll have to prove there is something left in the tank to stick around on the active roster. 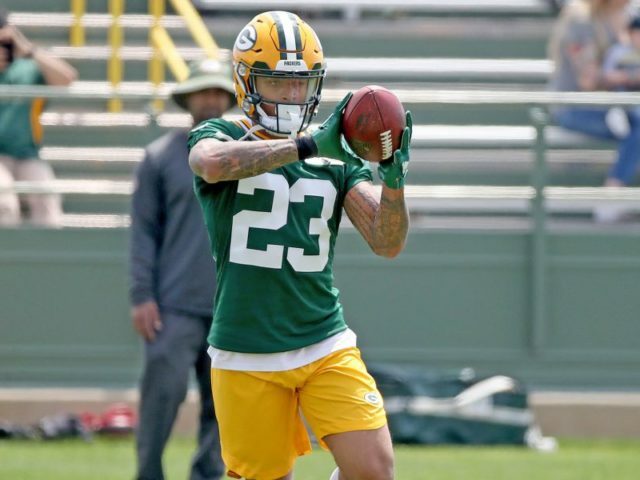 Quinten Rollins needs to prove he can stay healthy. His promise as a converted basketball player was tremendous athleticism and ball skills, but he has yet to show a lot of either. Herb Waters was the story of Training Camp last year before a season ending injury ended his momentum. As a converted Wide Receiver coming off a major injury, he has a lot to prove, but if he can pick up where he left off last season he is a contender for a roster spot. Hawkins has the athletic traits to be a NFL CB, but he has never shined in his opportunities. He no longer is eligible for the Practice Squad, so this will be his make-or-break offseason. Donatello Brown has a similar makeup as Lenzy Pipkins, but hasn’t shown the athleticism or anticipation to be a reliable player. He is eligible for the Practice Squad, but is already 27. If Green Bay can stash him, he could be a solid emergency call up in case of injury. Demetri Goodson has proven himself as a really good Special Teams player. With the Packers already losing their other gunner (Jeff Janis) this offseason, Ron Zook will probably make a case for keeping Goodson. If one of the other CBs can show Special Teams ability, Goodson is going to be hard pressed to stick around. Cornerback has been an area of weakness since the Sam Shields injury. The overhaul this offseason means there will likely be some growing pains, but the position is more talented than it has been in a very long time. Mike Pettine’s ability to get the most from this group will go a long ways in the Packers’ pursuit of another Lombardi Trophy. This entry was posted in Andrew Mertig, Packers 2017-2018 Season, Uncategorized and tagged Green Bay Packers, Jaire Alexander, Josh Jackson, Kevin King, Lenzy Pipkins, tramon williams. Bookmark the permalink.